Last week, InterVision was recognized as Commercial Partner of the Year by Juniper Networks at the IDEAS/Connected 2016 conference. This award is the culmination of a remarkable partnership with Juniper that began nearly 20 years ago. InterVision was previously named West Coast Partner of the Year by Juniper three times. InterVision had record Juniper revenue in 2015 and completed numerous large datacenter and campus deployments for commercial and enterprise customers. Our success was the result of InterVision Sales and Engineering continuing to provide a range of enterprise-class services based on best-in-class Juniper solutions. This includes architecture, integration and configuration, installation, maintenance contract renewals, and project management. We’ve continued to expand our certification base and added another Juniper Ingenious Champion. InterVision also expanded into a new 30,000 sq. foot facility that allows us to demonstrate Juniper solutions and perform turnkey integration for multiple racks of equipment. Another milestone last year was the development of a new reference architecture for a converged stack based on Juniper hardware and software. 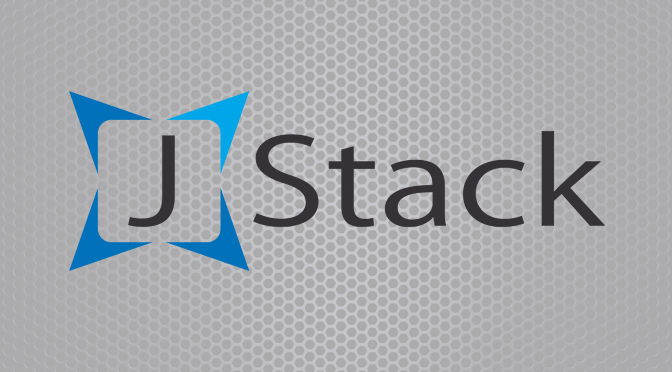 J Stack utilizes Juniper’s MetaFabric™ Architecture, made up of Juniper Networks EX Series and QFX Series switches and Juniper Networks Contrail Networking, working within Virtual Chassis (VC) or Virtual Chassis Fabric (VCF) configurations. Storage is provided by a NetApp fabric-attached storage (FAS) system with Clustered Data ONTAP (cDOT). With J Stack, InterVision has created a reference architecture and service delivery model that uses best-in-class components to remove the barriers to deploying a flexible private cloud. InterVision’s partnership began in 1998, initially selling and installing Juniper routers and NetScreen security products, then expanding the breadth and scope of solutions as Juniper grew its product portfolio. InterVision has successfully deployed over 750 agile, highly scalable IT infrastructures for our customers based on Juniper routers, switches, and other networking products. InterVision has a dedicated engineering practice around Juniper, and our team constantly tests and validates the latest Juniper technologies in our Solutions Center. Customers want an IT environment that is reliable, scalable, flexible, and secure. Juniper has done a great job innovating and providing solutions to evolve our mutual customers’ data center and cloud infrastructure. We look forward another strong year in 2016. Please contact me or your InterVision account manager for more information or to arrange a solution demonstration. InterVision today announced J Stack, a new converged cloud stack. Our Engineering Team has worked with Juniper Networks to develop the J Stack reference architecture and configure J Stack in our Demo Lab. J Stack builds upon our expertise architecting and deploying thousands of converged architectures for our customers and our deep expertise across Juniper solutions. With J Stack, InterVision has achieved its goal to provide customers with an open, plug-and-play infrastructure to quickly deploy data center and cloud networks. J Stack utilizes Juniper’s MetaFabric™ Architecture, made up of Juniper Networks EX Series and QFX Series switches and Juniper Networks Contrail Networking, working within Virtual Chassis (VC) or Virtual Chassis Fabric (VCF) configurations. Storage is provided by a NetApp fabric-attached storage (FAS) system with Clustered Data ONTAP (cDOT). cDOT is the enabler for NetApp scale-out storage configurations with J Stack. Virtually all open systems from Dell and Hewlett-Packard that support 10GbE, including Dell PowerEdge R-series servers and HP ProLiant Gen9 Rack Servers, can be configured in a J Stack. For more about the reference architecture, see the J Stack Data Sheet. InterVision’s J Stack was featured in announcements made today by Juniper during NXTWORK 2015 Customer Summit, their inaugural user conference held in Santa Clara. In its data center announcement, Juniper introduced the QFX5200 series of switches to support the emerging 25 and 50 GbE standard. Juniper also highlighted InterVision’s J Stack converged stack offering in their announcement. I was invited to attend the NXTWORK and participate in media briefings. This included a live interview with Silicon ANGLE the CUBE, which focuses on enterprise technology and innovation. Our discussion covered trends that are driving the need for converged stack solutions, the genesis of J Stack, and InterVision’s investment in building its software-defined data center and hybrid cloud practice areas. Click to watch the interview. We developed J Stack in response to the increasing pressure organizations face to deliver applications at the speed of business while simultaneously maintaining control of users and costs. There’s never been a greater need for automation and programming capabilities to quickly and easily deploy new apps, services, and technologies in a simple and open way. With J Stack, InterVision has created a reference architecture and service delivery model that uses best-in-class components to remove the barriers to deploying a flexible private cloud. Please contact me or your InterVision account manager for more information or to arrange a J Stack demonstration. InterVision is proud to announce the move of its corporate headquarters. InterVision’s new headquarter is located at 2270 Martin Avenue, Santa Clara, CA 95050. 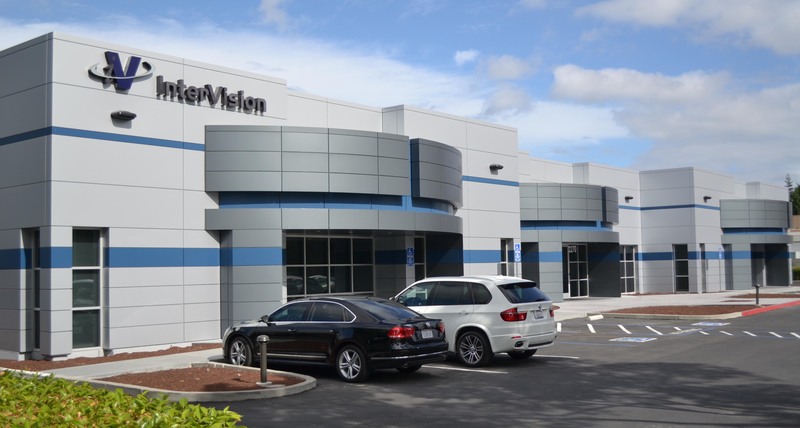 InterVision has spent over a decade in the Walsh Avenue building and made the move to accommodate an expanded staff and provide better service to our customers. The new office is conveniently located in Silicon Valley near Highway 101 and San Thomas Expressway, and is adjacent to the old headquarters. All phone numbers will remain the same. A 3,000 sq ft Integration Center, which is four times larger than the previous lab, can handle a variety integration and configuration needs from routine configuration tasks to the most complex integration projects. Benches around the perimeter have several connectivity options and the latest configuration management tools. A modular power and networking cabling system can accommodate integration of multiple racks of equipment simultaneously. A spacious Executive Briefing Center is available to host customer meetings and events. An adjacent demonstration lab showcases the latest technologies from our vendor partners. It includes racks of equipment highlighting solutions for the software-defined data center. An expanded vendor partner area provides space for vendors to meet with customers and InterVision employees. Founded in 1993, InterVision is one of the most successful operating technology integrators in California. Our new headquarters, located in the heart of Silicon Valley, has the space and the state-of-the-art facilities necessary to support our growing organization. Contact a sales representative to schedule a tour. Today I participated in the Juniper Innovation Solution Conference and Press/Analyst Roundtable, and saw firsthand the launch of their latest routing, switching and security solutions. It was an impressive presentation led by Rami Rahim, Juniper’s new CEO. Jonathan David, EVP & GM of Juniper Development and Innovation, also shined while moderating a panel of customers and making product announcements. In addition to the usual bigger/faster/better message, the main themes were readiness for cloud and hybrid data centers, open development, software defined network (SDN) capabilities, automation, and application visibility. The Juniper Networks® QFX10000, a new line of spine switches, give data centers and cloud deployments of all sizes unparalleled physical and logical scale, performance and port density to grow flexibly alongside customer demands. Includes integration with a range of orchestration, automation and management solutions from market leaders like VMware, as well as open source solutions, like OpenStack and OpenContrail, that simplify and automate network management and provisioning. An enhanced Converged Supercore® Architecture, which is based on the PTX core router, gives service providers the ability to better manage their networks by combining the ExpressPlus chip, the industry’s most advanced new custom silicon, with improved hardware capacity and expanded software-based traffic optimization via the NorthStar Controller to achieve new levels of efficiency in IP networking. Express Path, a services offload capability for the SRX5000 Series Services Gateways,dramatically boosts throughput, reduce latency and improve session scalability to organizations, enabling the firewall to keep pace with the massive volumes of data traffic on the network. In the Press/Analyst Roundtable moderated by Matt Hurley, Juniper VP of Worldwide Partner Marketing, we talked about how the cloud is changing the business and selling models for integrators. InterVision’s Sales and Engineering teams are spending more time having the “cloud conversation” with our customers—what services they currently have in the cloud and whether or not it is meeting their business requirements, especially around performance and cost. Juniper has also invested in making their solutions ready for SDN and software defined data centers (SDDC). The QFX10000 Switch line has Junos Fusion, a flexible, open architecture that makes it easy to automate the turn-up and configuration of new networks. I’m glad to see Juniper adding more integration with a range of orchestration, automation and management solutions from vendors and Open Source solutions like OpenStack. InterVision is building up its SDDC practice, which enables us to build extremely flexible IT environments for our customers. The panel also talked about how customer business requirements are more stringent and they expect much more from their IT infrastructure in terms of performance, scalability, automation, compliance, disaster recovery, and so on. For InterVision, this has resulted in a big increase in professional services revenue in the past couple of years, especially for advanced services, open development, and project management. As Juniper continues to create more powerful switching, routing, and security solutions, we will continue to invest in training and certifying our engineers. Customers want an IT environment that is predictable, scalable, flexible, qualified, and secure. A common infrastructure and topology provides that. Today’s announcements will resonate well with our customers who place a high value on having a solid infrastructure and are looking into SDDC and SDN architectures in the near future. Every fall, our Engineering team looks forward to attending the NetApp Insight conference to learn about the latest storage technologies and solutions. This week, 11 of our Systems Engineers are in Las Vegas attending the conference. Taking so many engineers away from their usual duties is part of our continued investment in technical training and in making our NetApp practice even stronger. This year’s Insight conference is special for InterVision. Last evening during the Americas Partner Awards at Insight, InterVision was honored with three awards. InterVision received the West Innovation Award Parter of the Year and West Net New Accounts Partner of the Year awards for its contributions to NetApp. The success was largely driven by the significant growth in our FlexPod practice and expertise in Clustered Data ONTAP deployments. I am proud of what Steve and our entire NetApp team has accomplished for our customers over the years. InterVision started working with NetApp in 1997 and we are currently one of the largest NetApp partners on the West Coast. InterVision has completed over 1,000 customer deployments with NetApp technologies, and we have a dedicated team of NetApp architects, installers and support technicians. As a NetApp Support Services Certified service provider, InterVision has more than 7 years of experience of providing first-level support to NetApp customers. Our Engineering team has kept up to date with the latest NetApp trainings and technical certifications. InterVision became a FlexPod Premium Partner last year, and we are one of a select few IT solution providers in North America that have achieved this designation. Our FlexPod practice has thrived, and we now have two dedicated FlexPod deployment teams along with a Project Management Office for smooth deployments. Our Systems Engineers hold many NCIE and NCDA certifications along with specialized training in Clustered ONTAP (cDOT). For details on InterVision’s NetApp practice and qualifications, see the NetApp spotlight on InterVision.com, our FlexPod video, NetApp brochure, or the FlexPod brochure. Our close ties with NetApp include three InterVision executive team members with prior experience working at the storage vendor. InterVision CEO Whitney Tomlin and VP of Sales Jamie Lee previously held senior sales leadership positions at NetApp. Noor Lodhi, VP of Engineering, was a longtime NetApp employee most recently responsible for leading the systems engineering team covering 13 western U.S. states. What does all this mean to you? If you are looking for a qualified integrator with the deep ties to NetApp, real-world storage deployment experience, and a trained, certified team of systems engineers, look no further. How can a Web 2.0 company scale operations to serve hundreds of thousands of users while maintaining security and control? InterVision and Juniper Networks partnered to create a hybrid cloud infrastructure that helped an online music service startup become an internationally recognized brand. A recent survey by Tech Pro Research indicates that hybrid cloud computing is gaining traction among IT managers. Nearly all of the respondents were familiar with the concept of hybrid clouds, and of those, 70% either currently use a hybrid cloud or are evaluating one. The survey results are consistent with what I’m hearing from our customers. A trusted partner of Juniper for the past 15 years, InterVision is a leading integrator of private and hybrid cloud solutions and has designed and deployed hundreds of consolidated, highly virtualized, cloud-ready environments based on Juniper routing, switching, and other technologies. Hybrid clouds are an excellent balance between dedicated private cloud infrastructure and subscription-based public cloud services—they blend and retain the best of both approaches. In the past couple of years, InterVision has seen a steady increase in the deployment of hybrid clouds as a platform for disaster recovery, application testing, cloud bursting, and other use cases. From a technology perspective, we are working with many customers who initially tapped public cloud resources to offer new services but are now fine-tuning their approach. Some of our customers have found that while cloud services enable them to launch and ramp up businesses quickly, the public cloud services can quickly become expensive when growth skyrockets. By helping businesses implement a hybrid model—where core IT functions are run on premises and others are performed in the cloud—we provide them the best of both worlds. Customers can run most services in their own interconnected data centers and then have peace of mind knowing that when their business spikes, they have nearly infinite scalability in the cloud. Last year, InterVision partnered with an online music service startup to create an IT infrastructure to serve as the foundation to develop and run a new feature-rich application. The infrastructure needed to be extremely reliable, scalable to millions of devices, secure, and future-proof. InterVision’s solution approach centered around Juniper Networks MX Series 3D Universal Edge Routers and EX Series Ethernet Switches at two data centers that are connected to the public cloud. These duplicate data centers on the East and West Coasts contain highly virtualized servers, storage, load balancing, firewall, and networking resources. User transactions can be handled at either the data center or offloaded to the public cloud as needed. The solution is designed to scale automatically as the user load increases and sustain service levels no matter how many users are accessing it simultaneously. This architecture effectively creates a hybrid cloud which offers better utilization, higher performance, and scalability—in short, truly dynamic IT—while maintaining the security and control benefits of a private cloud. The IT infrastructure we implemented was instrumental in the scaling of the service, and illustrates how InterVision and Juniper Networks come together to achieve customers’ goals. Juniper has had enormous success with their switching line over the years and remains competitive in terms of pricing and features. InterVision partnered with Juniper in 1999 and we have deployed thousands of EX and QFX switches in data centers and campuses for SMBs to enterprises. Earlier this year I blogged on the announcement of the new QFX5100 switches and Virtual Chassis Fabric. InterVision has also sold Juniper’s line of 802.11n WLAN products, which are based on their 2010 acquisition of Trapeze. It’s a solid product, but doesn’t have the innovations or capabilities of Aruba’s 802.11ac product line. Partnering with Aruba gives Juniper a much more robust WLAN offering. Aruba has a strong and growing WLAN product portfolio with innovations like ClearPass and Airwave. InterVision partnered with Aruba in 2008 and have expanded our practice to become a Gold partner with a full range of WLAN professional services. Two of our larger Aruba deployments are new WLAN for 150+ branches for a national bank, and a WLAN retrofit underway for a 45,000-employee global computer manufacturer. However, we’ve seen tepid demand for Aruba’s switches, which don’t have the features or competitive pricing of Juniper’s line. Partnering with Juniper means Aruba can pair best-in-class Juniper switches with their WLAN solutions. What is the main benefit for customers? Customers want full visibility across their wired and wireless networks to simplify management and troubleshooting. Juniper’s Network Director is a great solution for managing their switches, while Aruba’s AirWave and ClearPass deliver best in class security, management and BYOD capabilities. With this partnership, Aruba’s management capabilities can be fully integrated into Network Director, resulting in a better customer experience. Will the Juniper-Aruba partnership make them more competitive against single-vendor infrastructure providers as some analyst reports say? Yes. The reason is that it’s easier to sell and deploy best-of-breed technologies if they have been integrated and validated, especially when competing against a single-vendor incumbent. Aruba has already proved its ability to win against Tier 1 networking vendors, and this partnership will make it much easier for customers to choose and justify an Aruba/Juniper solution in these situations. In summary, this partnership is a great fit for Juniper and Aruba and makes sense for customers. Send me your feedback at jason@intervision.com.